While PhotoWorksGroup utilizes all types of media, including fabric and vinyl, Geoff Kilmer, president, PhotoWorksGroup, estimates that three out of every four of the company’s projects are produced with rigid substrates. To meet the individual needs of each project, Kilmer frequently turns to the wide array of rigid substrates offered by 3A Composites USA and distributed by Sudlersville, Md.-based Harbor Sales Co.
PhotoWorksGroup has utilized graphic display boards ranging from Fome-Cor® paper-faced foam board to Gatorfoam® heavy-duty foam board with wood-fiber veneers, Sintra® PVC board and Dibond® aluminum composite material to create large-format displays. νIs this project designed for indoor or outdoor display? νHow long is this project designed to be displayed? νHow large is this graphic? “Often the graphic’s size – which might require the material to be paneled and seamed – will dictate the substrate,” said Kilmer. νHow will the graphic output be produced? 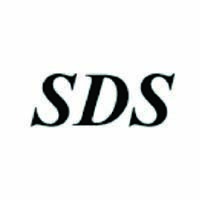 Will the rigid substrate be digitally direct-printed? Or, will the graphic output consist of vinyl printed with a solvent-based ink or a LightJet photo printed and mounted to the rigid substrate? νWill the rigid substrate be a good fit for the client’s budget? PhotoWorksGroup has selected 3A Composites’ rigid substrates for creating everything from a permanent interior environmental makeover for a university’s football team to short-term point-of-purchase retail-store displays and exterior realty sales signage. 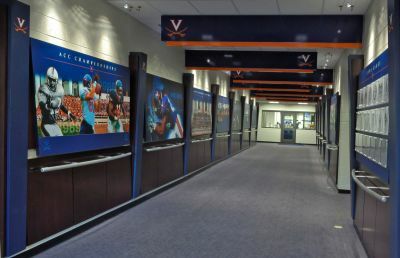 PhotoWorksGroup fabricated and installed a complete environmental makeover in late-2007 for the UVA Football Cavaliers’ offices/facilities housed at The University of Virginia’s McCue Center in Charlottesville. 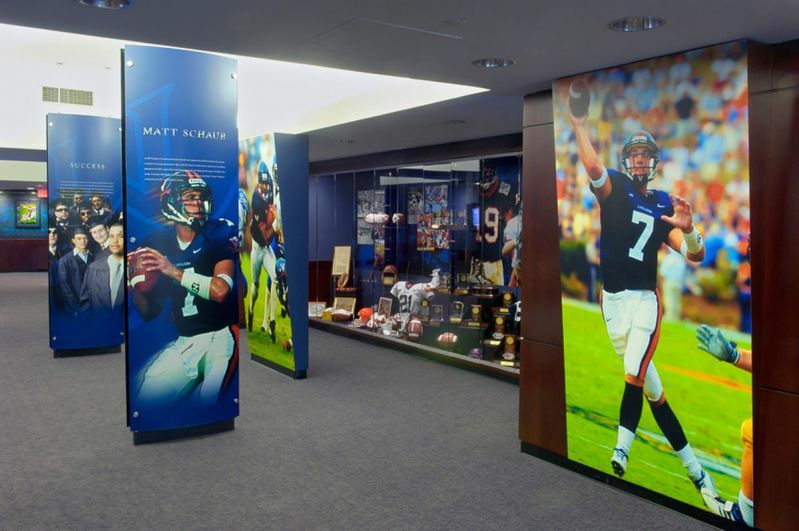 Included in the makeover are two-sided free-standing displays installed in an upper-level hallway featuring photos of well-known UVA Football alumni. Each free-standing exhibit features two sets of 3-foot by 8-foot player images positioned within a 10-foot tall custom frame. The player images are LightJet prints on photographic paper panels, which were laminated with a thermally activated textured vinyl, then mounted using pressure-sensitive adhesive onto 6mm black Sintra®graphic display board. The graphic panels were bent to a specified radius to fit custom-welded tubular frames and held in place with metal caps and mechanical fasteners. Each display is securely bolted to the building’s concrete floor and ceiling. While designed as part of a permanent makeover, the configuration of these free-standing displays allows them to be updated easily by “swapping out graphics and securing them in place,” according to Kilmer. The UVA Football environmental makeover also features lower-level hallway displays, including suspended ceiling headers decorated with images of the Virginia Cavaliers’ “V-Sabre” logo on contour-cut vinyl and mounted to vinyl-wrapped Gatorfoam® graphic display board. The vinyl completely wraps a sandwich of two ¾-inch thick sheets of kraft-colored Gatorfoam to form these durable header panels. Additional pieces fabricated by PhotoWorksGroup for the UVA Football makeover included cabinets, custom aluminum fabricated rails, laser-etched acrylic, custom framing, direct application photomurals and waterjet-cut aluminum logos. 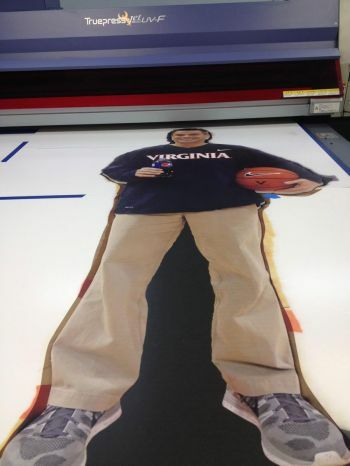 PhotoWorksGroup was approached in late-2013 to create 30 life-sized standees of University of Virginia Basketball Coach Tony Bennett to be installed as point-of-purchase displays for three to six months to support a supermarket chain’s soft-drink promotion. PhotoWorksGroup used a SCREEN Truepress Jet 1600 UV-F flatbed with a vacuum bed to direct print Bennett’s image with a bleed onto 3/16-inch thick white Fome-Cor® board. The printed images featured vector-generated contour cutting lines that were cut out with a CNC router. Scrap Fome-Cor board was used to create easel backs for the life-sized cutouts. The short-term nature of these point-of-purchase displays as well as budget constraints led PhotoWorksGroup to recommend Fome-Cor board for the cutouts, according to Kilmer. 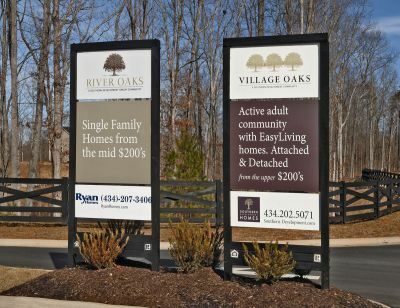 When PhotoWorksGroup was contacted by a real-estate agency in late-2014 to create exterior 10-by-4 foot two-sided signs promoting residential sales in a new adult community, there was only one rigid substrate that Kilmer would recommend for the job – Dibond® aluminum composite material. PhotoWorksGroup direct-printed two sets of identical realty graphics onto 4mm white Dibond panels with a SCREEN Truepress Jet 1600 UV-F flatbed with a vacuum bed. The signs were inserted back-to-back into a custom frame built from 4-by-4-inch pressure-treated wood posts cut with slots to accept the signage, which was secured with screws installed at an angle. This frame was designed to open from the top to accept new signage.